It’s been a long voyage for lecturer Naomi Austin who has overcome some rough waters to sail off into the sunset with a prestigious award. 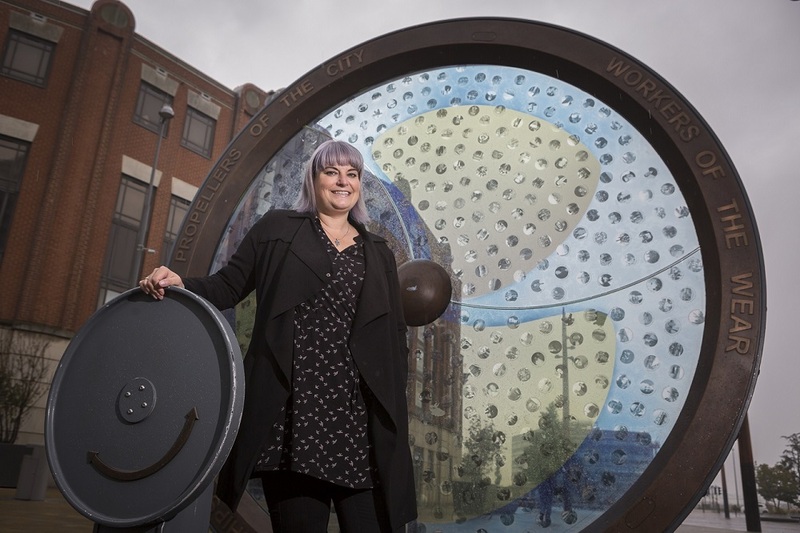 Earlier this year, the University of Sunderland Fashion Design and Promotion lecturer published her debut book, The Call of the Seas, to critical acclaim. A few weeks later, she was taking part in the Tall Ships Races, which had inspired the book, setting sail from Sunderland to Denmark. Then, in August, she was front-and-centre at her own art exhibition featuring digital drawings from her book at Arts Centre Washington. Now, all Naomi’s hard work has paid off after The Call of the Sea – a 288-page publication based on the Tall Ships – was one of three books to be awarded a certificate of merit for the Mountbatten Award for Best Book at the Maritime Media Awards. At a prestigious award ceremony in London, Naomi picked up her prize. And it was a night she will not forget. She said: “I wasn't expecting the nomination in the first place so to find myself on the shortlist of 10 was incredible. “I was sat at my table just drinking in the whole atmosphere when they announced that they had selected three books which the judges felt deserved special recognition for excellence. “And then I heard the words 'our first award goes to an incredible illustrated book based on the Sunderland shipbuilding heritage and the Tall Ships Race.... ' and after that I kind of went deaf with shock. “I had to walk past 200-plus people applauding me to go up on stage to receive the award from Admiral Sir Philip Jones; First Sea Lord and Chief of Naval Staff. That was the longest but proudest walk of my entire life. “The strangest thing happened about 30 minutes after coming back to my table. I was discussing with my partner how Kate Adie was somewhere in the room and how I should try to find her for a picture when I became aware of a very familiar face heading towards me across the sea of people. The Call of the Sea contains digital drawing created by Naomi of the Tall Ships as well as a chapter on the history of shipbuilding on the Wear. 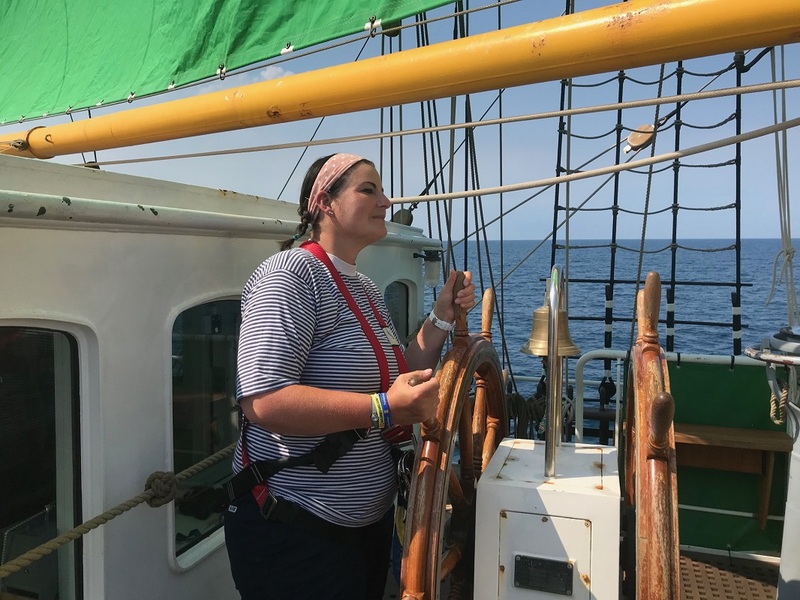 Naomi’s love affair with the ships can be traced back to the summer of 1993 when, as a shy young woman, she got the opportunity to take part in the Races when the event visited the Tyne. Naomi said: “What I didn’t know at the time was just how life changing it was all going to be.